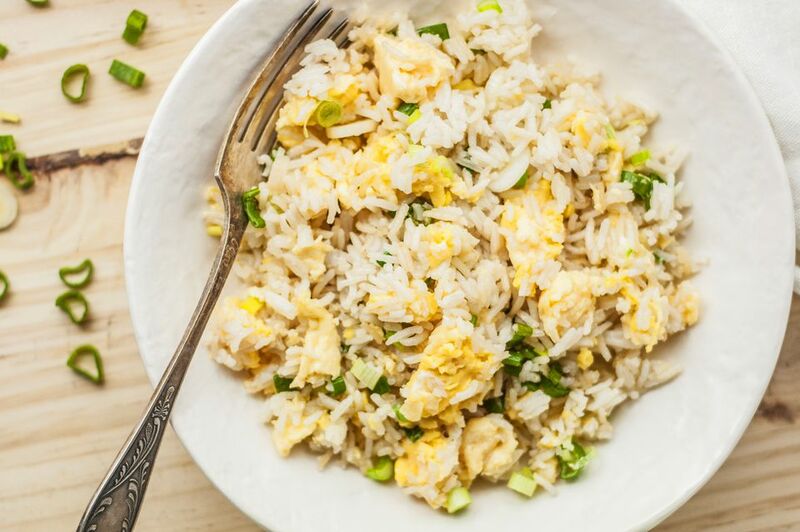 This is a basic recipe for fried rice that you can add to as desired. Serve it as a side with leftover vegetables mixed in, or serve it as a main dish with barbecued pork, chicken, and/or shrimp. Once you have this basic recipe mastered, you can feel free to adjust to suite your needs. We do recommend, though, that you increase the number of eggs from 2 to 3 if you do add more ingredients, just to make sure that the ratio of egg-to-rice mixture is well-balanced. Traditionally, the Chinese do not add soy sauce to rice. If you like, you can serve the dish plain, without the soy or oyster sauce. Another option is to add a small amount (1/2 to 1 teaspoon) of XO sauce or thick soy sauce, or to use 2 to 3 teaspoons of dark soy sauce—these will give the rice a darker color.